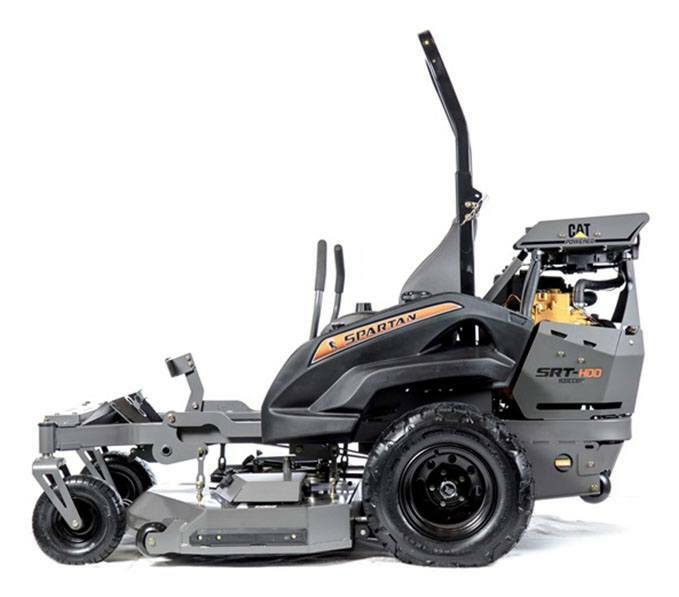 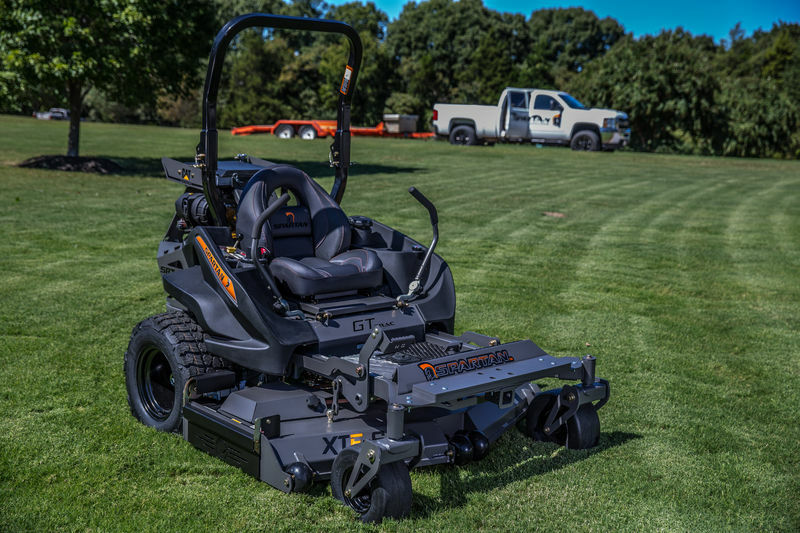 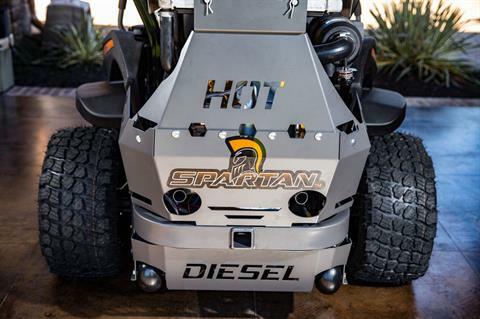 Perhaps the most appealing thing about this new Spartan is not only the power, but the versatility. The CAT Diesel is the same length as the standard SRT Spartan, and the weight is still around 1,585 lb. 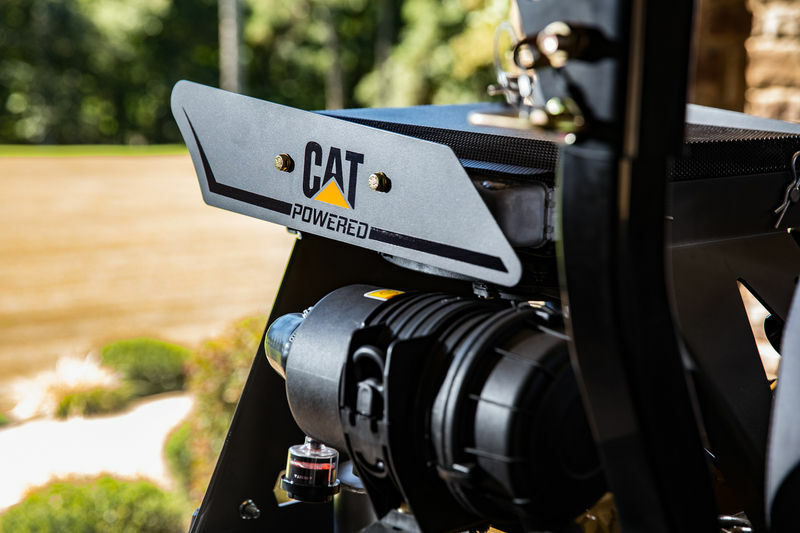 This shorter length and weight distribution with the powerful CAT engine makes it easier to maneuver and hold better on hills than other diesels on the market. The Cat Diesel comes standard with a front receiver hitch and a direct drive spiral gearbox for power and efficiency. 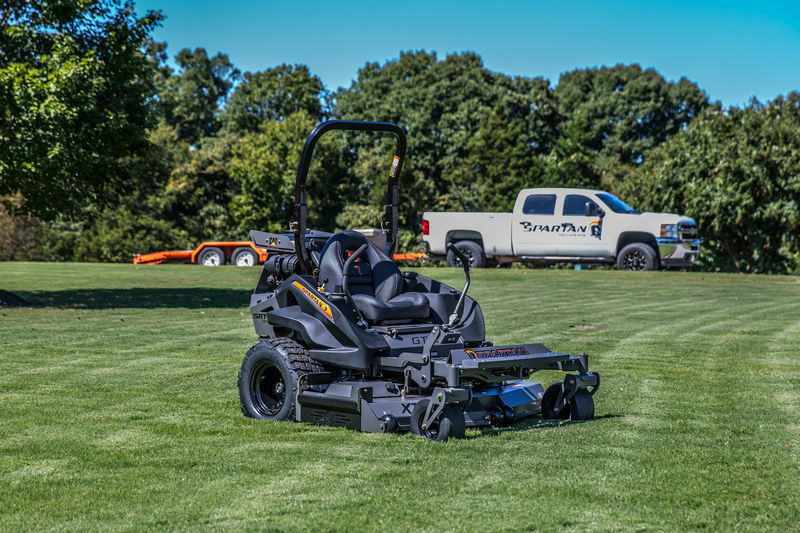 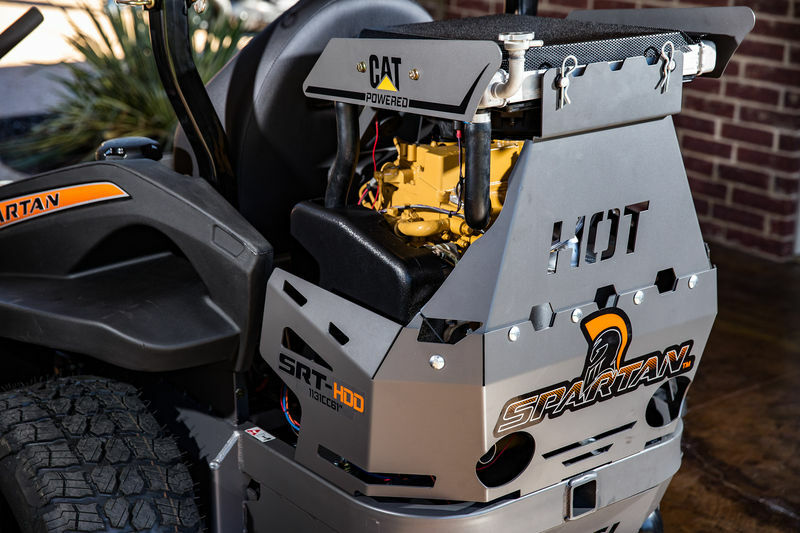 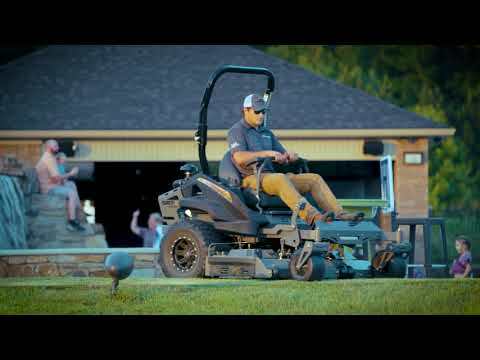 The CAT Diesel is the SRT HD model, packed with the Spartan standard features like improved Smart Ride Technology, GT-Trac, shock-assisted deck foot lift, 6 in. 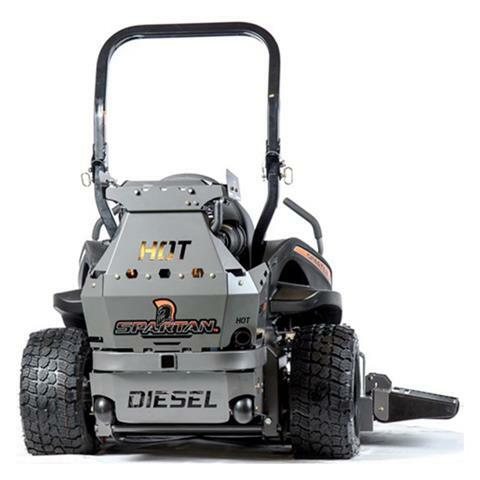 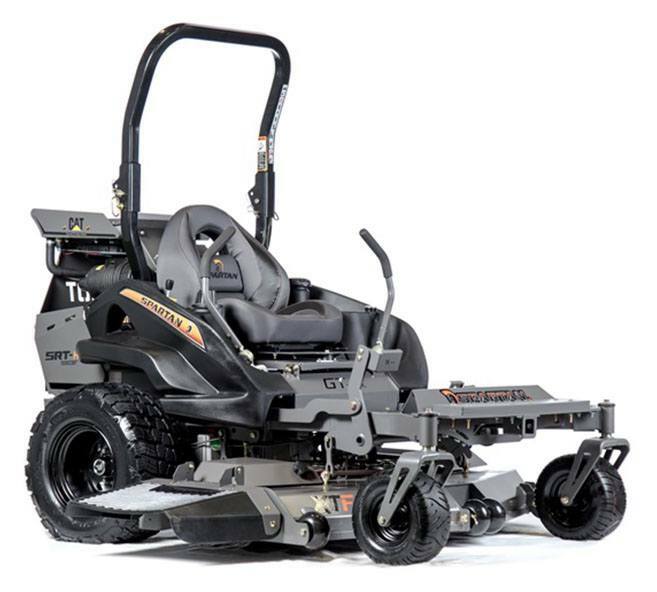 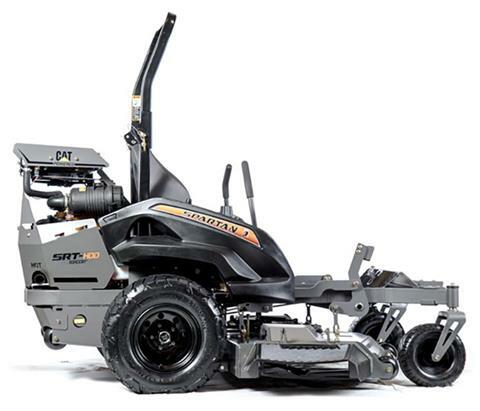 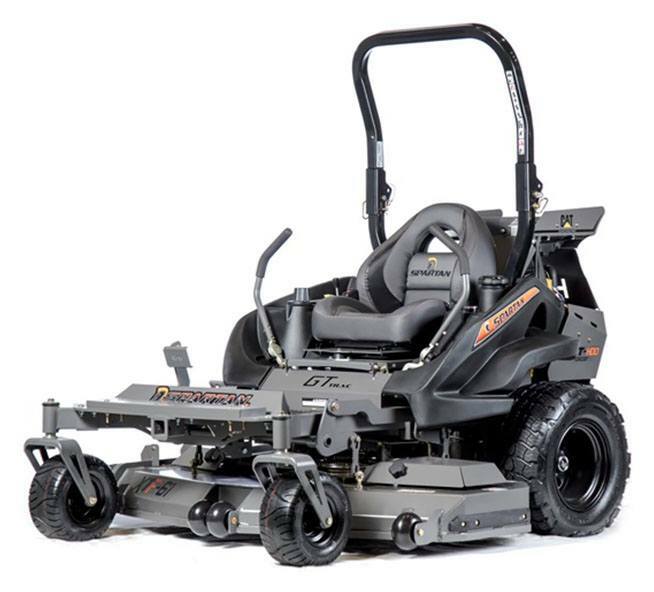 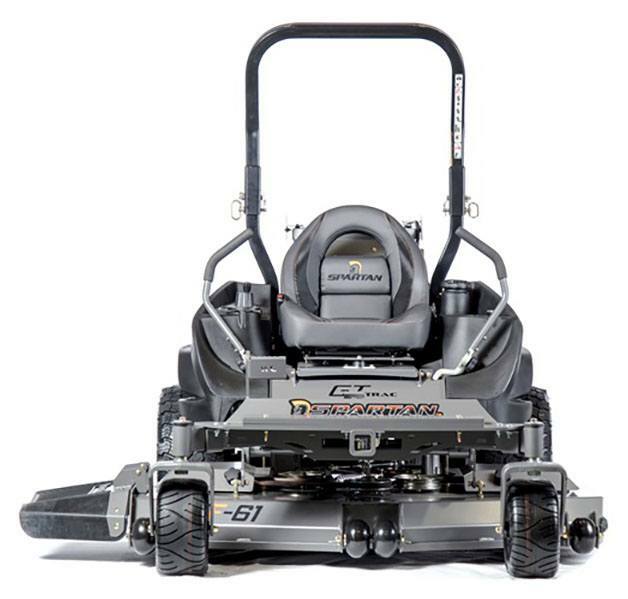 deep XTF deck, lifetime warranty on the leading edg of the deck, cast aluminum sealed spindles with four ag bearings, push-start keypad, and Parker HTJ 12cc wheel motors. 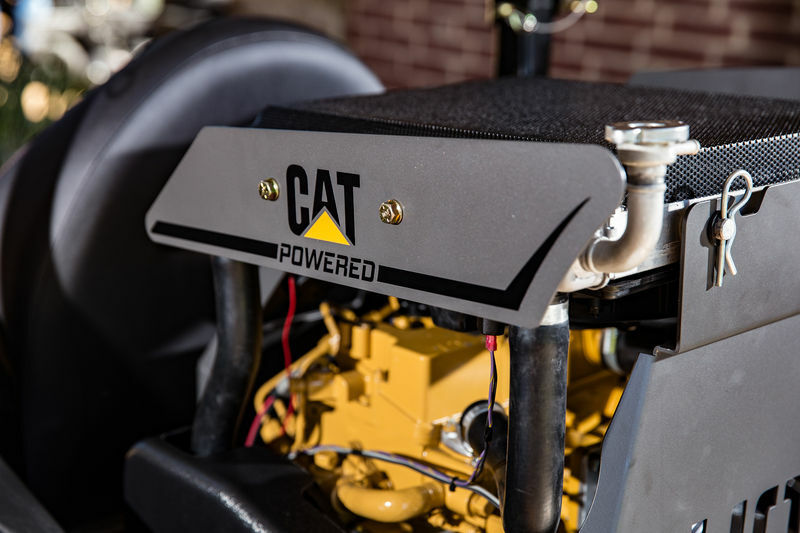 CAT DIESEL ENGINE: Nothing says ‘get it done’ like a CAT powered diesel engine. The 1.1 liter CAT Diesel engine on a Spartan makes heavy duty, commercial jobs like a cake walk. 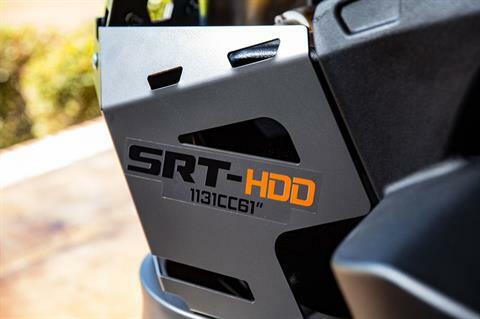 SRT: Smart Ride Technology consists of torsional front forks and TCB-3 TecsPak Elastomer Dampeners on the back for a soft and smooth ride.